All stores, restaurants, sales, brands, events, offers, movies, entertainment in Dorabjee's Royale Heritage Mall Pune. 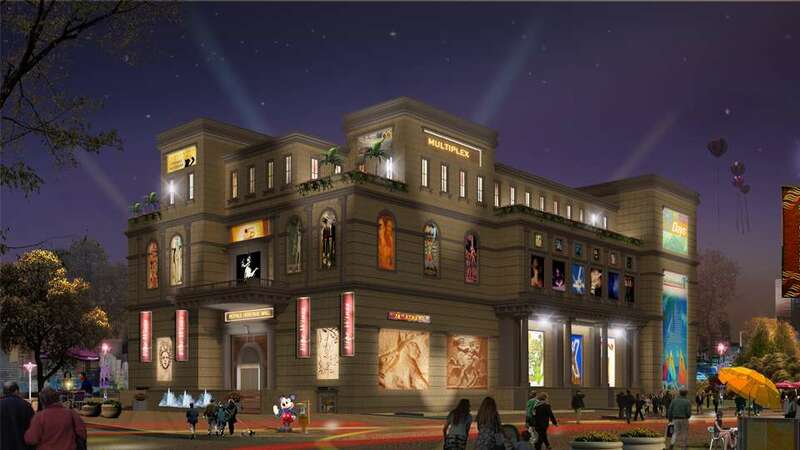 Fuelled by excellence and shaped by quality, Royale Heritage Mall glows with a magical aura. Every little aspect of the mall and all its offerings have been keenly analysed, appraised and improved so that the resultant experience is truly phenomenal. Royale Heritage Mall is developed by Dorabjee Estates. Royale Heritage Mall brings you premium lifestyle brands, the finest restaurants and the best offices paces, and weaves-in serviced apartments, a banquet hall and a six screen multiplex into its bouquet.It spells wholesome entertainment and a luxurious experience in shopping and food indulgences. Royale Heritage Mall Multiplex For all you film goers and cinema enthusiasts, Royale Heritage presents a 6 screen multiplex playing all the latest flicks. Sink into comfortable seats as you watch the story unfold on massive screens and feel the movie through the superior sound systems. Complete the experience with your favourite snacks and beverages as you take in the magic of life on celluloid. Enjoy going to the movies in style! Royale Heritage Mall Retail We know it’s important to have every possible option available to us when making a choice. We also realise that each of us is unique, with unique style and taste. Marrying this knowledge together, Royale Heritage brings you the best and most popular brands, so that you have a slew of options that add extra thrill to your shopping experience, and at the same time, help you make your selections Royale Heritage connects popular choice of colours, combinations, fabrics and styles through the various brands it houses, providing all the elements necessary for an unforgettable shopping experience. Royale Heritage Mall Hypermarket At Royale Heritage, we understand the difficulties you have to face when you drive long distances, to different places, to obtain everything on your shopping list. As a solution, our supermarket stocks everything you may need, under one roof, making shopping a faster, more pleasant experience.It also leaves you with lots of time to do other things that you enjoy. We offer you a range of products and brands to choose from, giving you the power to select from a vast range. We also have special offers and discounts that help you save. Royale Heritage Mall Anchor Store Royale Heritage will display the presence of anchor stores that spell good news for both shoppers as well as other retailers in the mall. Shoppers may take advantage of cost savings while purchasing commodities while retailers may be assured of increased business in the mall. With the rising awareness of brands among the population and the inherent competition between several brands, anchor stores are a blessing. Come make the most of all the choices presented to you! Royale Heritage Mall Spa Nothing spells indulgence more than spending time at a place where you can unwind, rejuvenate your body and mind, and at the same time, have fun while doing so. Royale Heritage brings you a spa that is a unique experience in luxury. All you have to do is to sit back and enjoy the multiple pleasures of the health and fitness spa, and let yourself be pampered and treated to our fine services. The spa is tailored to suit your needs and comforts, and to make you feel special in every way. Feel the stress and pressures of everyday living wash away as you take a dip in our cool pool and enjoy the sauna. So ease your senses, calm your mind and feel completely refreshed at the Royale Heritage Spa. Royale Heritage Mall Office Royale Heritage houses an office block for corporates who wish to carry out business in a congenial and vibrant atmosphere. With amply illuminated interiors and vast floor space, it is conducive to effective, intelligent commerce. To keep you spirits high through the busy workday, all you need to do is take a coffee break in any one of the mall’s coffee shops, to feel refreshed, rejuvenated, and ready again, to take on your work with gusto. Royale Heritage Mall Gymnasium People, today, have woken up to the latest fitness mantra and take pride in keeping fit and healthy and looking their best. Royale Heritage assists in providing you with the best fitness equipment in well planned gyms, so that you may have your cake and eat it too! We invite you to claim all the benefits of such a centre, with all the equipment required to put you on the fast track to fitness and leave you looking good and feeling better. Royale Heritage Mall Food & Beverages Royale Heritage brings together, under its huge, exotic canopy, some of the best restaurants in the city and gifts you the power of choice. Enjoy choosing from among various cuisines to suit your mood and palate. At Royale Heritage, you’ll be able to flit from one cuisine to another without needing to battle the traffic and travel halfway across town to satiate your hunger. It’s all right here, right where you are. When shopping whets your appetite, take a flavourful break in any of the many restaurants and dine on the finest foods and beverages, in comfort and style. Royale Heritage Mall Brands : The shopping mall houses brands such as INOX Multiplex, D Mart, Subway, Cafe Arabia, Royal Chanderi - The Silk Store, Food United, MAX, Cafe Coffee Day, Zodiac, Kareem's, Chick Blast, Mast Kalandar, Dance and Fitness Services, Eagle Boys Pizza.